Hotel Mandarin Residency offers 17 Super Deluxe rooms. The rooms have television and hot water facility. The picturesque mountain peaks and serene valleys can be seen from the rooms. 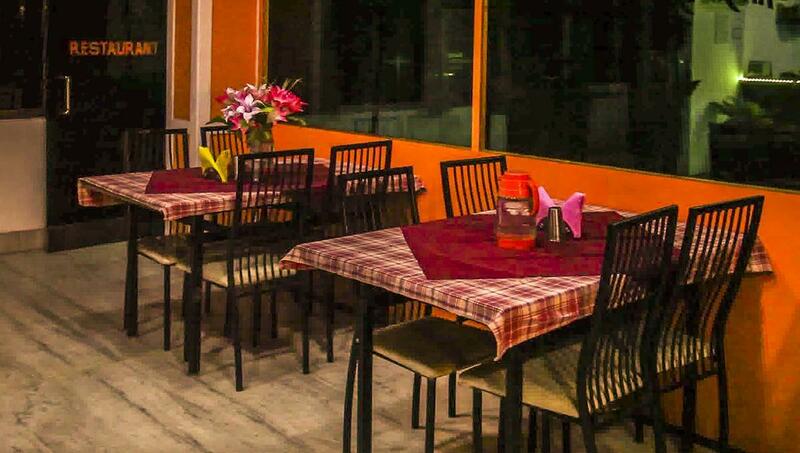 Hotel Mandarin Residency has an in-house multi cuisine restaurant serving various delicacies. Conference hall is also provided by the hotel for business meetings and social gatherings. The other facilities include travel desk, doctor on call and laundry service. Room Service, Parking, Travel Counter, Currency Exchange, Family/Child Friendly, Laundry Facilities, Backup Generator, Airport Transportation, Doctor on Call, Breakfast Services. Attached Bathroom, Bottled Water in Room, Wakeup Calls, Cable/Satellite TV, House Keeping, Air Conditioning Room, Television Room, DVD Player, Iron/Ironing Board, Moisturiser. User reviews for "Mandarin Residency Hotel Gangtok"